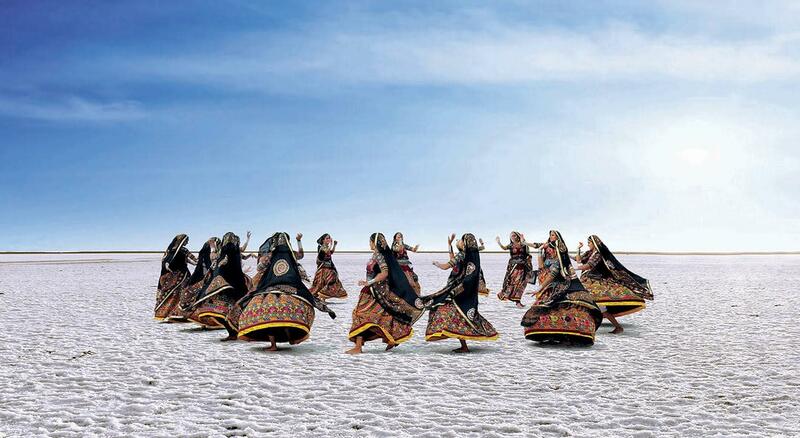 Rann Utsav is an awesome festival of Kutch, Gujarat. It is a Carnival of Music, Dance, natural beauty of White Rann and much more than that when visited under the full Moon. Kutch Rann Utsav is the shimmering landscape that gives the enchanting moments of this Fest, which feels like as Heaven On Earth during Festival Time. The Utsav will take place from November 1st to 20th February. However, it’s highly recommended that you visit when there is a full moon. During the full moon, the white sand dunes look majestic and beautiful. The desert is lit up with festivities all around. There are plenty of things to do during ran festival stay including participation in Golf Cart, ATV Ride, Camel Cart Excursion, Paramotoring, Meditation, Yoga and Enjoying Gujarati Culture. A grand Tent City of approx 400 tents, consisting of both air-conditioned and non-air-conditioned tents, have been set up on the outskirt of bordering village of Dhorado in the Rann to accommodate tourists and visitors. Nearly 32 cultural troupes from various districts of Gujarat will participate in the Dance and Musical Carnival, about 1,50,000 people from Bhuj and Kutch are expected to enjoy the carnival. During the festival, Tourism Corporation of Gujarat Ltd. Arranges tours with Transport, accommodations, food and guided sightseeing. Do not miss this chance of a lifetime to visit one of India’s most colorful regions. If you want to experience an authentic desert festival, this is your best bet! Go get yourself drenched in the colors of the moon and sand. When | December 21st to 23rs; January 20th to 22nd; and February 18th to 20th.